Was everyone shaking your hand and congratulation you after your last presentation? Or not? Did you get the sale? Are you a manager who needs to persuade others? Are you a trainer who needs to train sales rep to sell more? If you’ve found that the free information that is out there is good, but not exactly what you need, consider training. It’s customized and focused on just what you need. Get the information you need for success in your specific situation. You’ll get a customized program to meet your needs, a workbook to keep, and a month of ongoing support to make sure that you get the results you need. 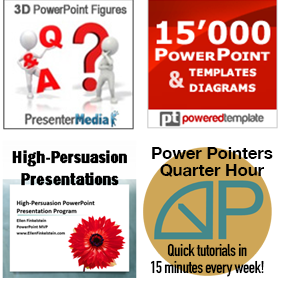 I’m an expert in my field of presenting and PowerPoint as well an an expert in teaching and training. Visit the Training and Consulting page on my website for more information.